Senate Committee Vents About Hijacking Of Big Tech For Information War The Senate intelligence committee gets an update from Big Tech about how companies are fighting "active measures" like those waged against the U.S. in 2016. The leaders of the Senate intelligence committee vented Wednesday morning about what they called the shortcomings of major tech firms, which they argue have led Americans to become vulnerable to foreign disinformation campaigns. "What is under attack is the idea that business as usual is good enough. The information your platforms disseminate changes minds, hardens opinions, helps people make sense of the world. ... That's how serious this is," said Chairman Richard Burr, R-N.C.
Facebook Chief Operating Officer Sheryl Sandberg and Twitter CEO Jack Dorsey testified about the work they're doing. Facebook's chief operating officer, Sheryl Sandberg, was interviewed at the company's offices in Menlo Park, Calif. She faces questions from Congress about combating foreign interference. Both Burr and his Democratic counterpart, Sen. Mark Warner, lamented that Google did not send an appropriately senior executive to appear — the company had offered to send its chief legal officer, Kent Walker, but a bipartisan consensus on the committee was that he was insufficient. "I'm deeply disappointed that Google, one of the most influential digital platforms in the world, chose not to send its own top corporate leadership to engage this committee," Warner said, ticking off how Google search, YouTube and Gmail, which it owns, were relevant to discussions about foreign influence operations. Warner had held out the possibility as late as Tuesday afternoon that Google could still change its mind, but the company did not. Google posted a copy of what it called Walker's prepared testimony on Tuesday. In it, he hit the notes that other tech bosses sounded in their hearing: They appreciate the importance of fighting active measures, they're tightening their internal security and other practices, and they're prepared now in ways they weren't for the big influence campaign of 2016. 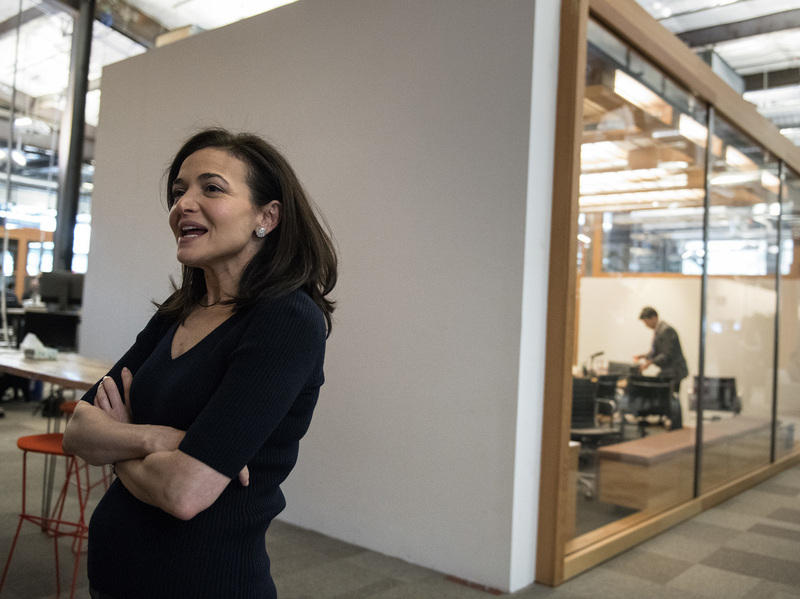 Dorsey and Sandberg both said how badly they were caught off guard by foreign influence operations in the last presidential election campaign. "We were too slow to spot this and too slow to act. That's on us. This interference was completely unacceptable," Sandberg conceded. Some use of Facebook by automated or fake accounts continues. About 3 to 4 percent of accounts on Facebook's platform today are "inauthentic" users who do not represent real people, Sandberg said. With more than 2 billion users, that suggests there remain tens of millions of such accounts. Dorsey, meanwhile, said he wants Twitter to be a "public square" where almost anyone can say almost anything, but that he also recognized how much it has been exploited. "We aren't proud of how that free and open exchange has been weaponized and used to distract and divide people, and our nation," he said. "We found ourselves unprepared and ill-equipped for the immensity of the problems that we've acknowledged." Republican Sen. Marco Rubio of Florida also questioned the duo about their operations outside the United States. "These principles of our democracy, do you support them only in the United States? Or are these principles that you feel obligated to support around the world?" Rubio asked. "We support these principles around the world. ... We would only operate in a country when we can do so in keeping with our values," Sandberg replied. Citing cases in Turkey, Rubio asked Dorsey: "How does blocking the accounts of journalists and an NBA player [keep] with a core tenet of freedom of expression?" "We would like to fight for every single person being able to speak freely, and to see everything, but we have to realize that it will take some bridges to get there," Dorsey responded. 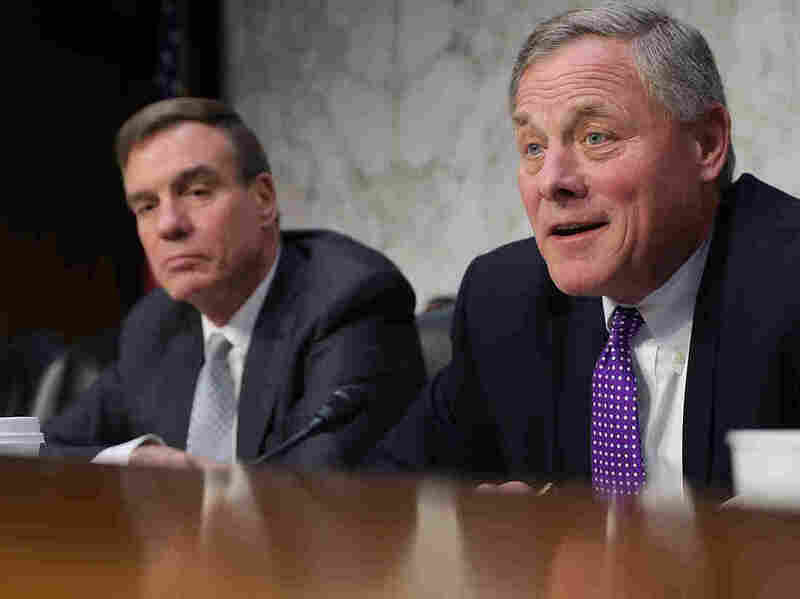 Senate intelligence committee ranking member Mark Warner, D-Va. (left), and Chairman Richard Burr, R-N.C. want answers from top leaders of Big Tech. Wednesday's hearing was the second time this year that the intelligence committee has convened a public session on how social media platforms can be used to further foreign influence operations. The committee also heard from social media experts back in August. "Some feel that we as a society are sitting in a burning room, calmly drinking a cup of coffee, telling ourselves, 'This is fine.' That's not fine," Burr said in August. "We should no longer be talking about if the Russians 'attempted' to interfere with American society. They've been doing it since the days of the Soviet Union, and they're still doing it today." The past six months have been eventful as social media companies and tech giants have repeatedly announced the disruption of various influence operations. In late July, Facebook announced that it had removed 32 accounts involved in a political influence campaign with links to the Russian government. Microsoft said it discovered and stopped an attempted cyberattack tied to Russia. Then Facebook made another announcement: It had shut down hundreds of accounts linked to an Iranian-backed global disinformation campaign. Twitter then followed suit by deleting accounts linked to this Iranian campaign. In the midst of all these alleged information operations, the Democratic National Committee reported that it had stopped what appeared to be an attempted cyber intrusion into its voter data systems. But what looked like an attack was actually a security test by friendly volunteers for the Michigan Democratic Party who didn't communicate that with the main DNC. The Democrats' cybersecurity specialists have compared themselves to combat veterans suffering from post-traumatic stress following the deep embarrassment to the party after it was the victim of Russian attacks during the presidential election. "I think we all still have PTSD from 2016," Raffi Krikorian, chief technology officer at the Democratic National Committee, told NPR. The miscommunication within the DNC showed the current state of alarm: Big tech, social media companies and politicians are on red alert about the issue of foreign intrusions and cyber operations.